Battery life of 500 hours, with upward folding protective hard cover. 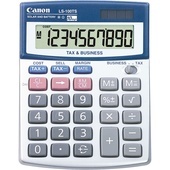 Large 12 digit display with tax function. 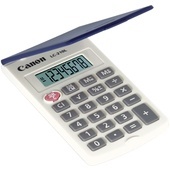 Extra Large Display - Shows up to 8 digits for calculations.